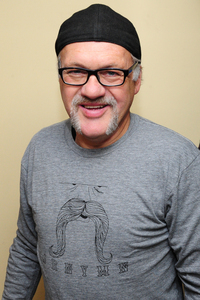 NoVa Caps first met Dennis Maruk at the Washington Capitals hockey player alumni reception on New Year’s Eve. At that time, he was graciously trying to attend our pre-game party at the Old Ebbitt Grill before the Winter Classic but it just wasn’t possible because of the official Winter Classic festivities. Now that it’s summer, he is a little more accessible and we were able to catch up with Maruk when he was getting ready to cut his grass. 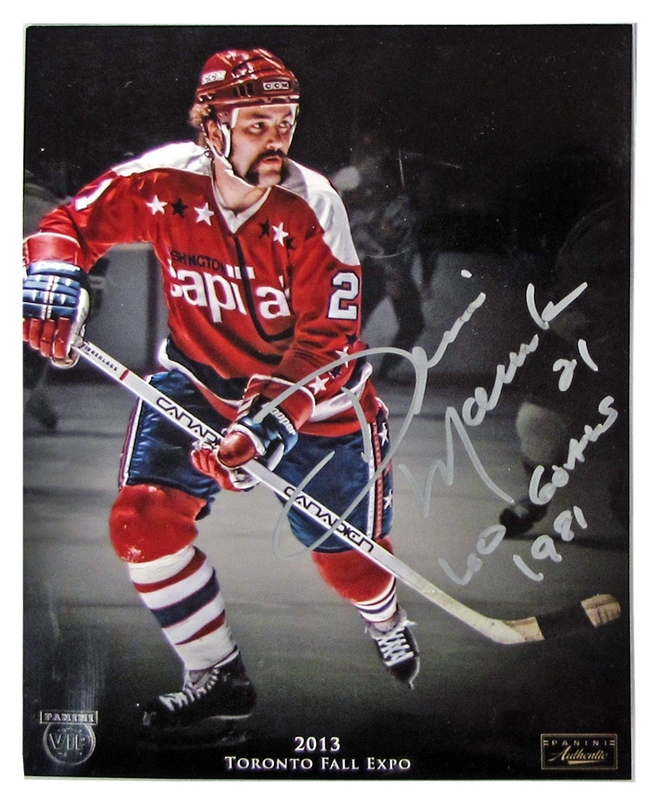 During his time with the Capitals (1978 – 1983) Maruk etched his mark into the Capitals history book by scoring 50 goals in the 1980-81 season and 60 goals in 1981-82. 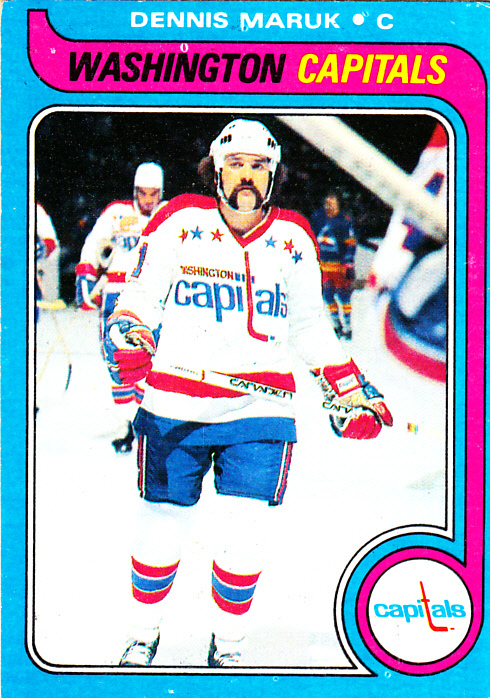 In 1982, between his 60 goals and 76 assists he became the first Capitals player to score 100 points in a season. 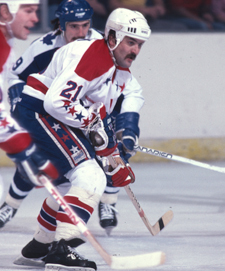 He was an integral cog in the machine that led the Capitals to their first playoff appearance in 1983. As a stalwart in Capitals hockey history, Maruk attended the Winter Classic that he calls, “a great time and a great event”. While he felt the event was great fun and enjoyed meeting up with his former teammates he said, “the alumni players really wanted to have a game but it didn’t work out but that’s just the way it is. I’ve always supported the Capitals and they are a great part of my life”. Overall, he enjoyed the experience, “We had a great time”. The New Year’s Eve event was well done and he thought the organizers did an excellent job. He was thrilled to be standing just 10 feet away from Billy Idol and he thought the concert was, “pretty good”. 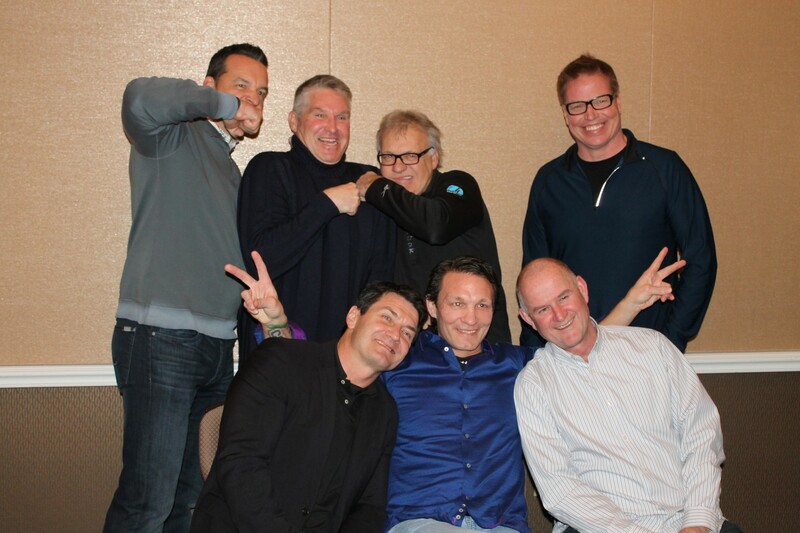 During the week Maruk felt fortunate to hang out with Larry Murphy. All the alum had gotten together the previous evening for a nice dinner the evening before. “It was really nice to get to talk to guys you haven’t seen for a while and see what’s going on. You know, see who’s fat, who’s skinny, who’s bald and all that kind of stuff. It was a lot of fun. It really is when you have an event like that”. When we are playing together we really form a bond, you want to help your players out both on and off the ice. So, you become close friends and after you retire, you seem to go your different ways. The Winter Classic was an excellent forum to catch up with fellow players. When Maruk comes to Washington to see some of the games throughout the year, he still likes, “to run into guys that I played who still live there and all that. So it is nice, yeah”. What’s Maruk Up to Today? Today, in addition to mowing grass, Maruk is still involved with hockey but his focus is with the kids. 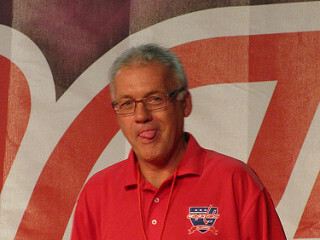 He runs a hockey school called Winning Techniques in northern Ontario. The hockey program is a two-week session in July, then he takes a one-week break and does another three-week session in August. “I give it back more. I also do a lot of charity events and still performs, plays hockey and has fun”. While he’s not involved in hockey at the professional level, he feels it would be an honor and is certainly open to the opportunity. He says, “I’m not getting any younger. I’ve talked to a few teams and then, and we’ll see. Something might come up.” Given the success he achieved in Washington, he feels it would be a special honor to work with the Capitals organization. He says, “I’d have a good mentorship role with the young players to work with them, travel with them and go work with them in the minor system”. Conditioning is the biggest different Maruk sees between today’s NHL and the NHL of the late 80’s. “Back then, I came to training camp to get in shape” but today, the players spend their summers working out so they are in shape when training camp starts. Regarding today’s Capitals and the young players currently in the system Maruk says that he hasn’t really looked closely at them but given the team as it currently stands, with the additions of TJ Oshie and Justin Williams, “They’ve [the Capitals] got some young players that probably have to work for a couple years” to make the team due to the additions. Maruk feels that today’s Capitals, “have everything right there” and are poised for a very successful 2015-2016 season. The Capitals strength draws from our seasoned players like Nicklas Bäckström and of course, Alexander Ovechkin with the prowess of younger players like Evengy Kuznetsov’s good experience and play and Marcus Johannson. Together, the experienced veterans have the opportunity to “take charge” on the ice. Maruk feels the team has been steady and now they, ”just need to get to that next level and get by the second round”. He feels that perhaps the addition of Oshie and Williams with their experience at high level play, that they will be part of the package to help the Capitals advance to the final rounds. Maruk joked, “I think it would be nice to see someone else win the Stanley Cup besides Chicago”. He feels that the Washington Capitals have “turned the corner” and they’ve done a “wonderful job turning that whole franchise and team around”. Maruk attributes much of the team’s success to Brian McClellan, General Manager and Barry Trotz. 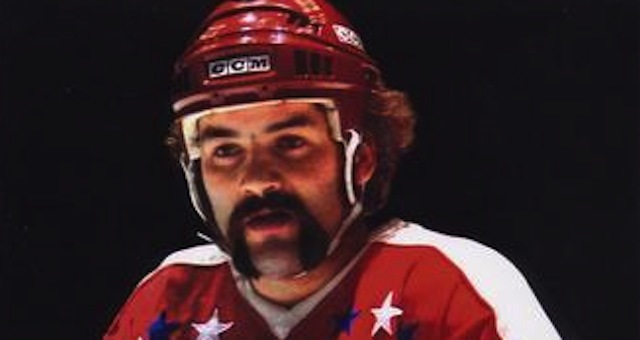 “I played with Brian with the Minnesota North Stars. Brian’s a great man and, “I know that he really wants to win bad”. 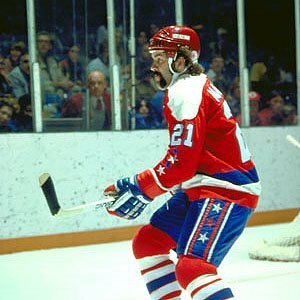 He feels that Barry Trotz is also hungry for a championship as well having got close while he was a Nashville and last year with the Capitals. Maruk believes that a Capitals Stanley Cup Win would be, “Great for the game” to finally unseat the same teams that have been in the play-offs the last 4-5 years. “I think it would be really neat to see the Capitals really work hard to make it to that next level. This entry was posted in Interview, News, Players and tagged Dennis Maruk, Stephanie Judge. Bookmark the permalink.